Attorney Baskin Jones is a lifelong Mississippi resident who was born in Jackson, Mississippi. He spent his early life in the Mississippi Delta. The effects of corporate negligence and greed were easy to see in the condition of corporate facilities and injuries to workers in local factories. This inequality left a lasting mark on Mr. Jones and today he works to safeguard Mississippians from corporate injustice and insurance companies. Mr. Jones calls Jackson home, and has no plans of that changing. Mr. Jones has a specific desire to bring about revitalization Jackson area. Part of this desire is be met in providing exceptional legal service to the citizens of the Greater Jackson Area as a Mississippi Personal Injury Attorney. Attorney Baskin Jones is a lifelong Mississippian who was born in Jackson, Mississippi. He spent his early life in the Mississippi Delta, and saw the difficulties faced by injured workers and those with unpaid insurance claims. This injustice left a lasting mark on Mr. Jones and today he works statewide from Jackson, Mississippi to safeguard Mississippians from corporate injustice and lopsided dealing in the insurance claims process. Jones Law firm can be reached in a number of different ways from the instant chat below, to email and phone consultation. The purpose of a free, no-obligation, consultation is to inform you of your rights and give you peace of mind that either you have found the right attorney, or that there may be some other option for your claim. In Mississippi every personal injury claim has to be brought between certain time periods from the incident or knowledge of the incident, this is called the statute of limitations. Having a plan and knowing your next step will ensure that your claim is not dismissed due to the statute of limitations. Contact an attorney today to protect your rights. Our firm can be reached in a number of different ways from the instant chat below, to email and phone consultation. The purpose of a free, no-obligation, consultation is to inform you of your rights and give you peace of mind that either you have found the right attorney, or that there may be some other option for your claim. We help you with criminal matters of all kinds, from DUI’s to Drug Offences. We are ready to help you understand your rights as they pertain to your legal predicament. Give us a call to get started with your consultation. Often when a worker is injured at work Workers Compensation will cover medical bills and a portion of lost wages. Workers compensation is a form of insurance that provides benefits to injured workers whether there was fault or not. It is often best in all types of personal injury claims to consult with an attorney early in order to ensure that the claims are handled properly from the beginning. If you or a loved one have been injured in Jackson, MS, contact us for a free consultation. If you have been injured during work or at your workplace, give us a call for a free consultation. If you are undergoing criminal charges, give us a call to discuss your case. If you are engaged in litigation regarding business disputes, call us for a consultation. ARE YOU EXPERIENCING PROBLEMS THAT REQUIRE LEGAL HELP? We are happy to speak with you! In Mississippi every personal injury claim has to be brought between certain time periods from the incident or knowledge of the incident, this is called the statute of limitations. 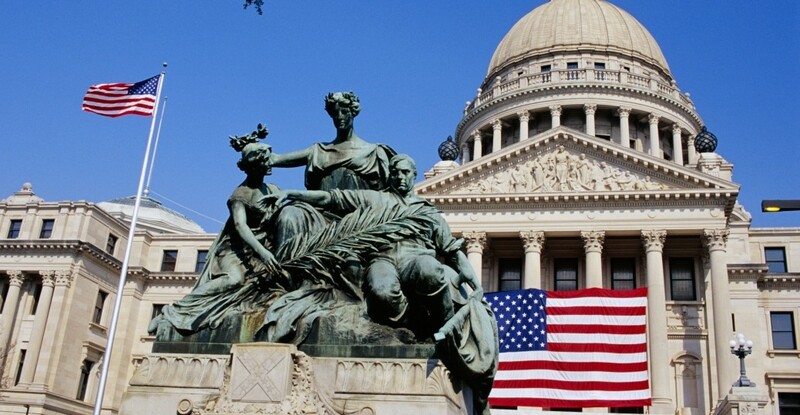 Having a lawyer in Jackson, MS on your side will give you the the information you need to make decisions in your case. Legal advice is critical in any situation, we provide you with a free consultation to get you started on the right path! Work with an attorney who is experienced with the legal process in Jackson, MS.
Nestled in the historic Fondren neighborhood of Jackson, Mississippi, the Jones Law firm takes every opportunity to put the needs of the client first. Many personal injury cases involve large medical bills, pain and suffering, a change in quality of life and missed work. Careful planning and the help of a Mississippi Personal Injury Attorney at each step of the litigation process can ensure that the client is made whole, and able to recover in each of the areas provided for by Mississippi personal injury law. Need to get in contact, we're here to listen!